Classic and effortlessly stylish personalised hip flask that can be engraved with wording of your choice to create a really special gift. 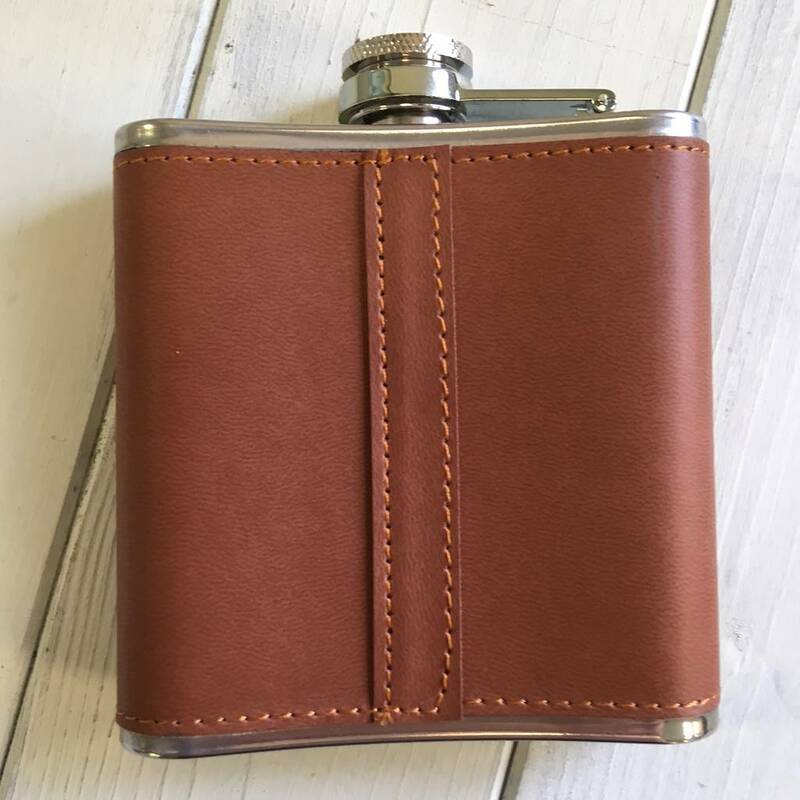 This fabulous engraved hip flask has a really masculine look and feel and makes an ideal gift for a range of different occasions. 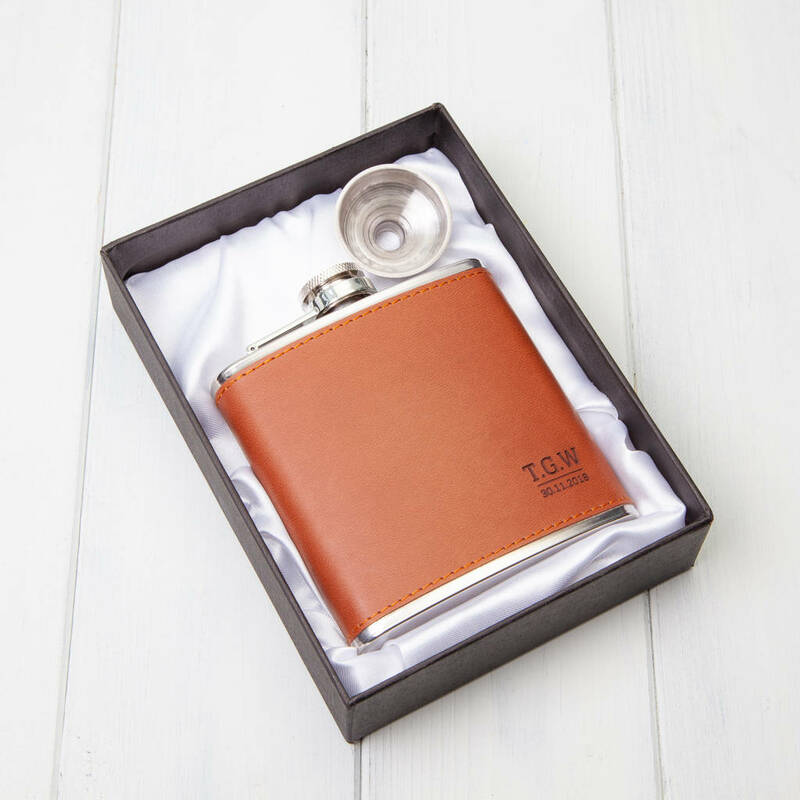 These personalised hipflasks make a lovely keepsake gift for a best man and ushers, birthdays, anniversaries, fathers day, christenings and other special occasions. 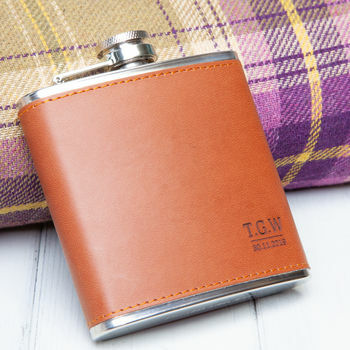 This 5oz hip flask exudes quality and it can be engraved with your choice of wording to commemorate a special occasion. The engraving service is included in the price and the hip flask is also delivered in a smart black moulded inlay box. This product is designed and lovingly personalised in the UK by British & Bespoke, sourced from a British company and responsibly manufactured outside of the UK from an ethical source. Hip Flask measures 10cm x 11cm.